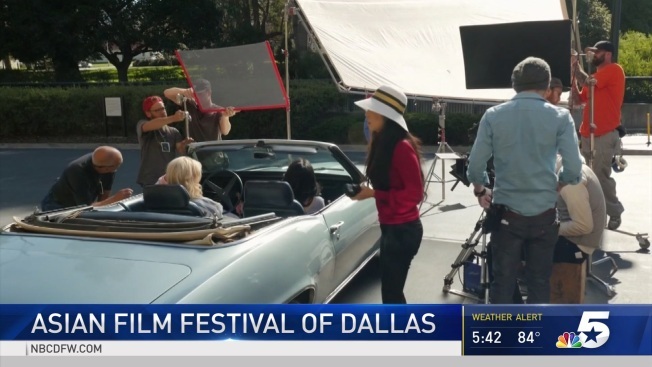 NBC 5 invites you to attend the 17th Asian Film Festival of Dallas at the Angelika Film Center for a unique entertainment experience from Thursday, July 19, through Thursday, July 26. This special festival year features their first Kashmiri drama film! Sixty-six films will be screened throughout the week and Sunday, July 22, will be dedicated to films directed and produced by women. Film fans can also expect a variety of genres and countries to be represented. There will be films shown from the U.S., Australia, Indonesia, Philippines, China, Hong Kong, India, Japan, S. Korea and Tibet. The genres that will be represented include: action, comedy, crime drama, documentary, drama, martial arts, psycho drama, thriller, romantic comedy and horror. Experience culture and attend this exciting celebration of cinema! Angelika Film Center Dallas in Mockingbird Station. Passes and tickets will on sale and available on Monday, July 2, 2018 at www.asianfilmdallas.com. Since its creation in 2002, the annual film festival has grown to become the South’s largest showcase of Asian and Asian-American cinema. Over the past 16 years, the festival has provided opportunities for nearly 600 Asian and Asian-American filmmakers and documentarians to share their vision, often providing the only venue for their films to be shown in Dallas. The films have also allowed festival goers a chance to experience other lives and cultures without leaving their seats. The Asian Film Festival of Dallas is a 501(c)(3) nonprofit organization dedicated to celebrating and supporting emerging and established Asian and Asian-American filmmakers and sharing the rich diversity of Asian culture through the medium of cinema.